Mayan Beach Garden often uses Pesca Mahahual as a fly fishing resourse for our guests who want to fish the entire time they are here or maybe only a couple of days. Pesca Mahahaul limits itself to no more than six guests at any time. Their goal is to provide the highest quality fishing experience possible with accommodations and service that is personal and exceptional. You will be staying at Mayan Beach Garden situated on some of the most beautiful coast line in all of Mexico. Guests repeatedly tell us their stay was one of the best vacation experiences of a lifetime. 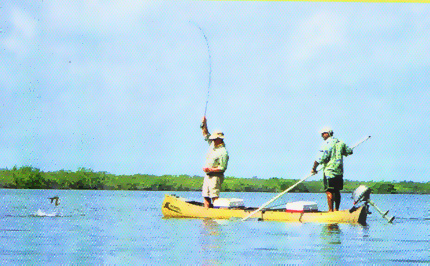 Fishing takes place in two locations - Chetumal Bay and in Lagoons. Tarpon are found along with Snook in Lakes or lagoons that are connected via "cenotes" or underground rivers that feed into the Caribbean. 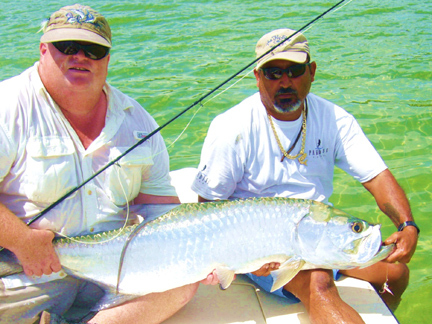 There are 5 lakes to choose from and the Tarpon tend to run on the large size. Tarpon in excess of 40 pounds are not uncommon. The tarpon are in Mangroove lined lakes that tend to be quiet even on windy days making for excellent fly fishing. Bonefish in Chetumal Bay are very plentiful. However, unlike our Permit, they will never be contenders for the IGFA record books. Typical Bonefish are between two and three pounds, with some fish three to five pounds and just a handful in the five to eight pound category. 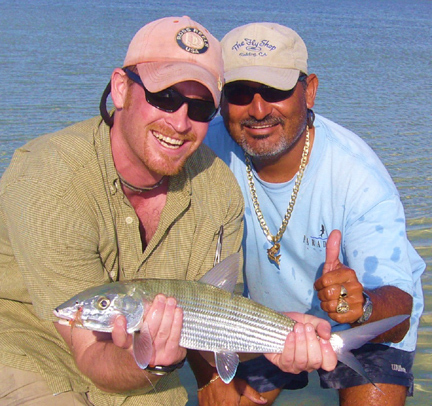 The fishing is in flats and on sunny days schools of Bonefish are often seen. Catching 10-20 Bonefish in one day is not uncommon. 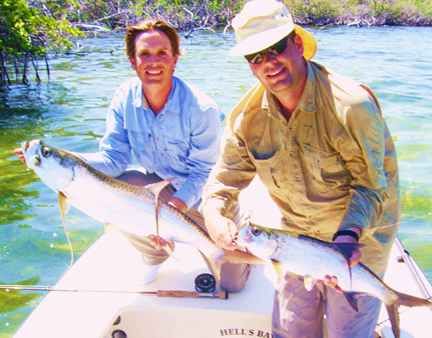 All of our fly fishing is done either by the guide polling the boat and spotting fish or wading. Both methods are effective. Permit are found in Chetumal bay and are more difficult to catch. There are also areas deeper into the Mangrooves connected to the bay with good Tarpon populations. The Tarpon in this area of Mexico are mainly adults - run much larger than "Baby Tarpon" and of course provide a greater challenge to catch and land. We have three fly fishing guides the Chief guide being Carlos Cartillos. Carlos has over 20 years experience as a guide, speaks fluent English and is considered by almost everyone as one of the top guides on the coast. Pesca Mahahual is happy to offer fishing for Bonefish, Snook, Tarpon, Permitt, Grouper, Tuna, Barracuda on our 22ft panga with 50 Hp Honda, or two Boston Whaler with 50 hp Honda, or 2 of our15 ft skiffs 5 hp Honda. Fishing trips include flat deck boats, professional guide, all fishing gear, all permits and licenses, beer & soft drinks, and lunch on boat. 25% down to hold the reservation – 25% additional 90 days prior to arrival – balance due 30 days prior to arrival. Ask for rates for individual days and complete packages. NOTE: If you want to fish Asencion bay in the Sian Ka'an bioshpere, arrangements must be made with an outfit licensed to fish there. This usually requires ample advance notice. 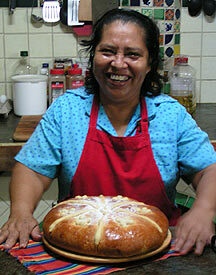 Only a limited number of licenses are available for the Sian Ka'an. Please contact info@mayanbeachgarden.com for more info. I. 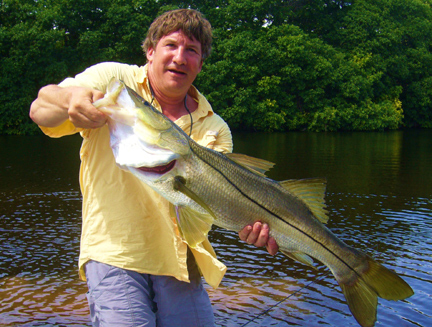 Daily Fly fishing for Bone Fish, Permit, Snook & Tarpon– includes flat deck boats, professional guide, all fishing gear, all permits and licenses, beer & soft drinks, and lunch on boat. Athough we do provide fly fishing gear, whenever possible, we recommend that guests bring their own rods, reels and flies if you have them. We provide flies that work best for specific fish.